Unbelieveable! We’ve reached the final destination in our “See the World” series, Zurich! I am so thankful for all of the writers who contributed their time and stories to our series. We are wrapping up with one of my favorite writers, Kate at Mom in Zurich. Obviously she knows a thing or two about the city. If you have a chance, head over to Kate’s Instagram and you’ll want to visit Zurich too. If you missed last week’s destination, we visited Yellowstone National Park and Xi’an, China the week before. If you missed any of the other destinations this year, you can find them here. 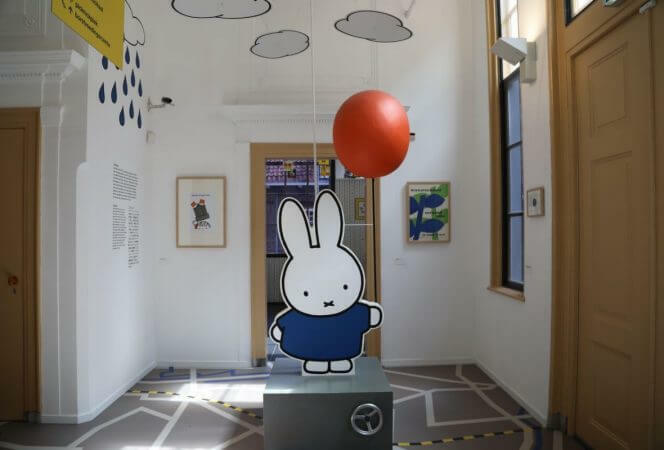 Let’s see what Kate recommends for the best family friendly things to do in Zurich, Switzerland! *This post contains affiliate links and I may be compensated if you make a purchase after clicking on those links. Lindenhof is a public park on a hill in the center of Zurich. There is a wonderful buzz here with playgrounds, bocce ball, chess, and an amazing view overlooking the city. 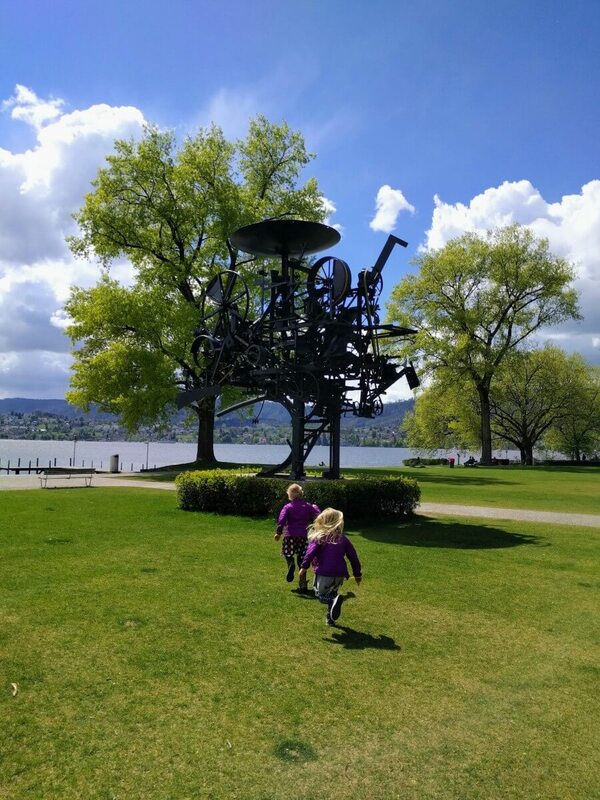 We like to wander around the cobblestone streets of old town Zurich, grab a coffee at ViCafe, then take in the view while the kids play in the playground. It’s also a great place to take pictures. Be sure to stop at the café! Confiserie Sprüngli was founded in 1836 and they are world famous for their signature macarons called “Luxemburgerli.” This gorgeous cafe is located in the hub of the famous shopping street, the Bahnhofstrasse, at the Paradaplatz. We like to walk upstairs and sit overlooking the busy street below. 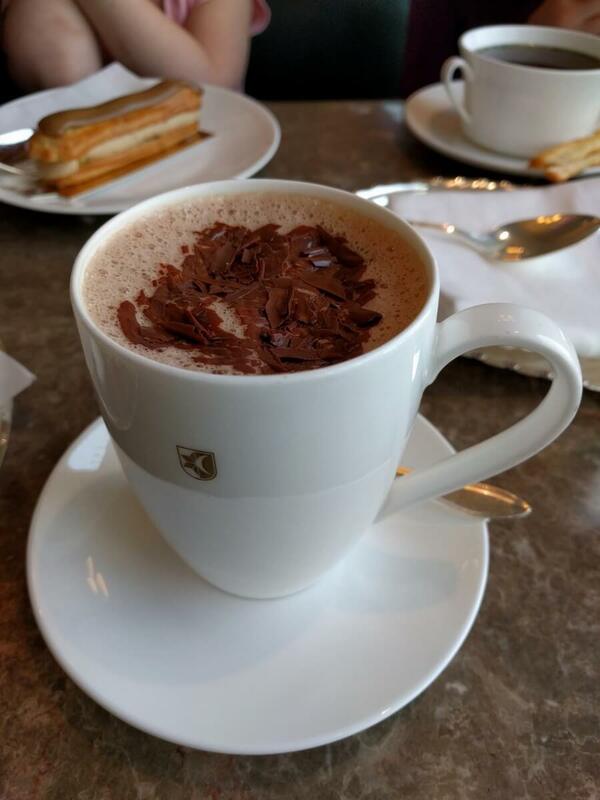 This is our favorite place for hot chocolate. 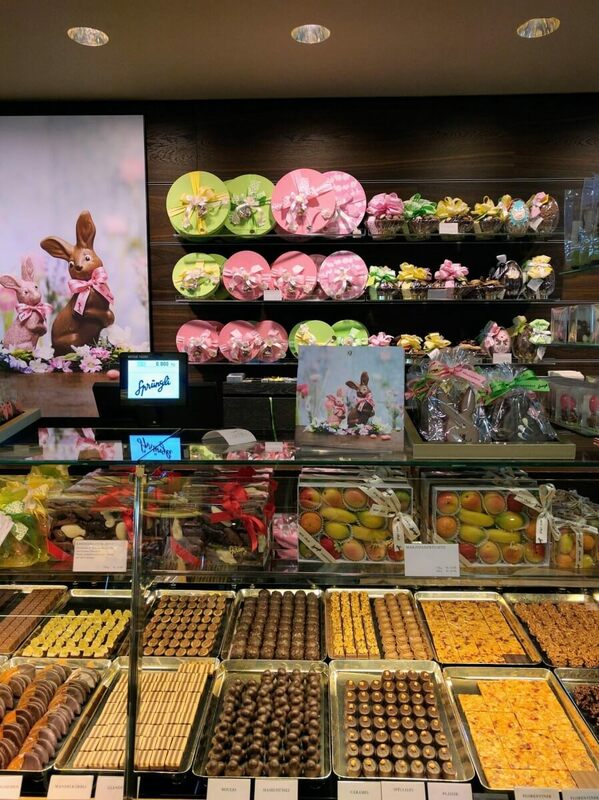 Downstairs at the chocolate shop, they offer the children a free Luxemburgerli to try. Take a look at their gorgeous cake display. Our favorite is their chocolate truffle cake. Take a boat from the Burkliplatz boat station and get off at the China Garden. The boat ride is a wonderful way to see the city and Lake Zurich. We like to get off at China Garden and let the kids play in the playground and along the lake before getting gelato at Gelati am See. The flavors are unique and they give the kids a little toy animal on top of their ice cream. 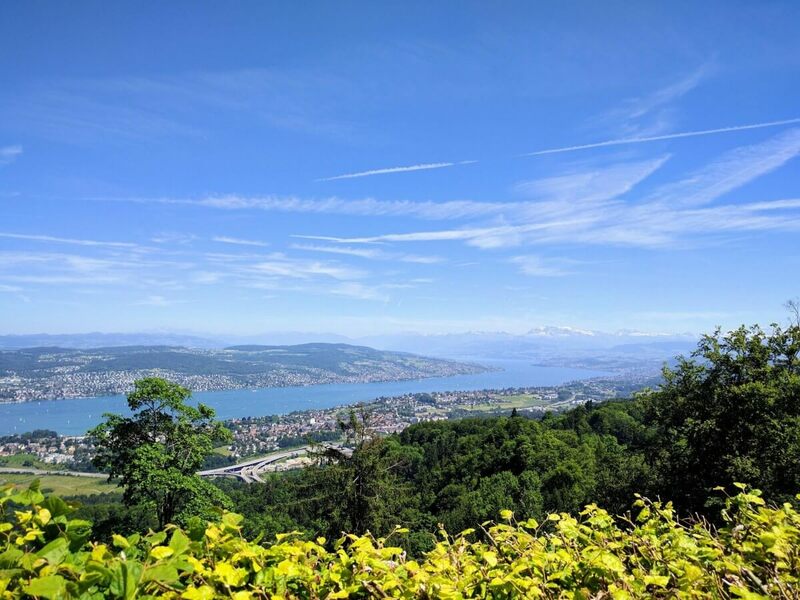 Get an incredible view high above the entire city of Zurich and beyond at Uetliberg, a mountain in the city. Take a very short train ride from the Zurich main train station to Uetliberg. This is a quick escape from the city and easy to do in a short amount of time. 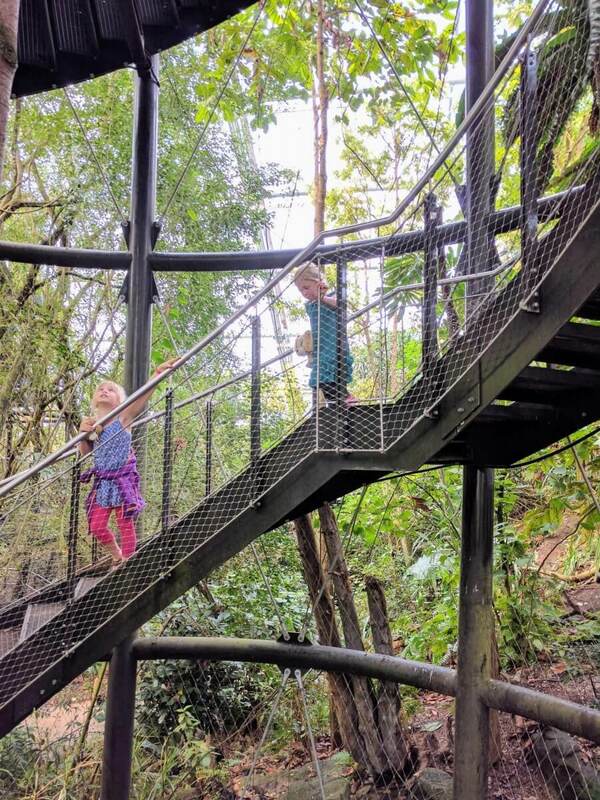 Climb up the observation tower for an incredible view or walk from Uetliberg to Felsenegg along the Planet Trail. The Zurich Zoo is always an easy hit with the kids. Our tip is to eat at the Cafe that is right before the entrance to the zoo as it is less crowded and I actually like the food better. We order quiche, soup, or pasta and then wander around the gift shop afterward. Then we head into the zoo. If you plan to be in Zurich on a Sunday, the elephant breakfast and brunch is a really fun way to spend the day at the zoo. Get more details and book ahead here. Kate is the founder of Mom In Zurich, a family travel blog inspiring families to travel the world. She and her three children are from the USA but now live in Switzerland. She and her family love to explore all the seasonal activities in Zurich. With family in the USA and South Africa, Kate and her family are used to long 10+ hour flights, time changes, and many languages. Her family loves to explore a new city and try their local coffee shops. Kate loves to share her travel adventures to inspire and encourage families to explore the world. 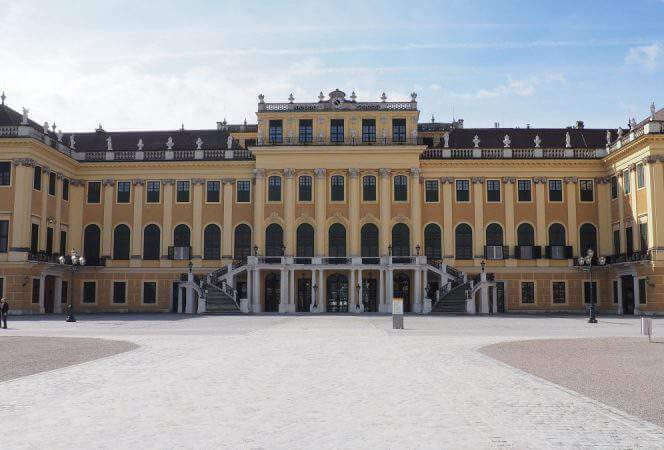 She can usually be found tucked into a cozy cafe or brunch in Zurich along the gorgeous cobblestone streets of Old Town.